Written by Felipe Azenha & filed in Picture of the Day, Scene on the Street, Urbanism. The jackass that signed off on this should be fired. 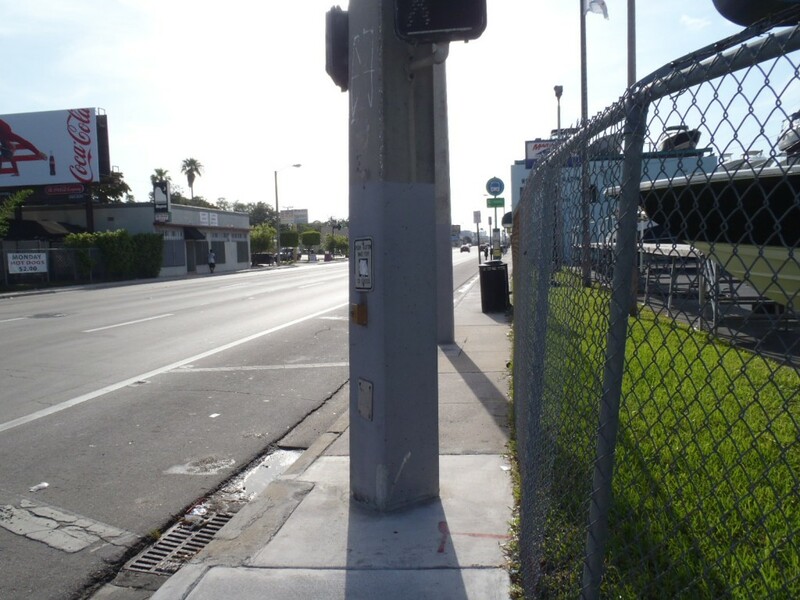 Who puts a traffic signal post in the middle of a sidewalk? The County Public Works and Waste Management Department that’s who. This is just terrible and I can guarantee that it does not meet ADA requirements. 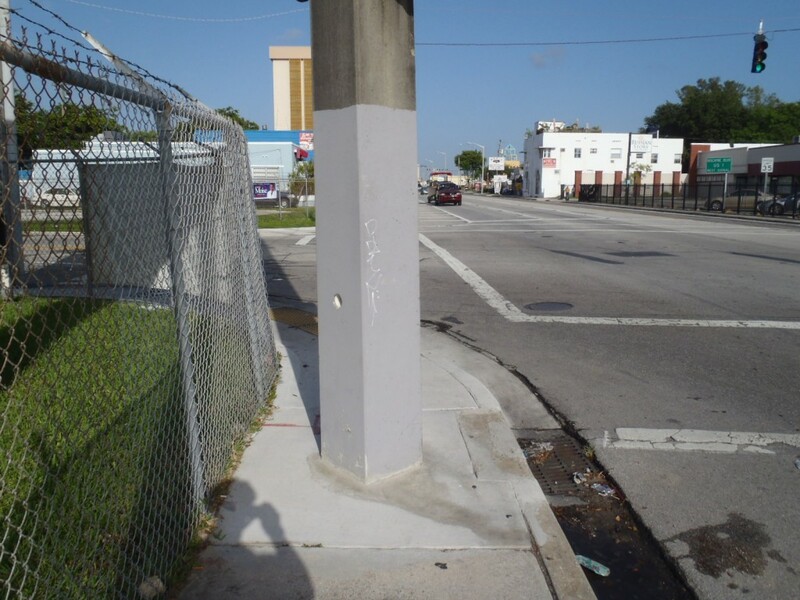 This abomination of urban planning can be found on NE 79th Street and NE 7th Avenue. Is this some sort of bad joke? No common sense was used in the placement of this traffic signal post.